It’s been a few weeks since my last post and this particular one was meant to be written a few weeks ago. However, there are times when life gets a little crazy and blogging has to wait a while until it all calms down again. Some of us are now heading towards the summer holidays with the kids and my youngest finishes nursery today so I know that my writing will be a nightly activity from this point until September time. I’ll be burning that midnight oil a bit more over the coming weeks. I’m very much looking forward to spending some quality time with them this holiday. Now that my youngest is 2 ½ it is making getting out and doing things without taking everything bar the kitchen sink possible again. She’s recently mastered the transition from nappies to pants and is really revelling in this new found freedom. I can pack a little lighter now when we go to places so I’m keen to get out and about with them in the coming weeks. We are blessed that we live only 10 minutes from the beach. We also have a short break booked in Cornwall later in the holidays so making sure they are protected from the sun will be important particularly on those days when the beach calls. I have always used free-from sun creams on the girls. It was a “no brainer” for me. I transitioned myself across too after suffering badly with prickly heat every year and since that transition I haven’t suffered since. We normally use Green People but I have branched out since writing this blog and have come across a few more that I have enjoyed using both on myself and the girls. I therefore want to share with you 4 sun creams I have used (the sun’s daily appearance has helped this testing phase) which I really like. There are others I also wish to try out but I’m going to focus on the 4 I have used thus far. Like anything, it’s all about preference and what your needs are with skincare and this is often a key factor in what makes one person buy one brand over another. 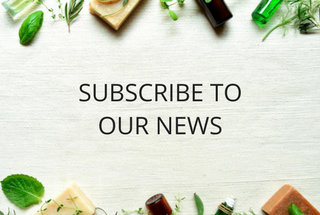 I’m lucky in that as a family we do not suffer with allergies but I know from reading other blogs like Sugarpuffish, that for some this is a real consideration when looking at which products are a “green” light and which are definitely a “no go” zone. In this post I will also share with you the fabulous sun shirts I use for the girls from Tatty Bumpkin. I wouldn't be without them now. They are a life saver at the end of a hot day on the beach when the kids still want to play, play, play! Initially for us as a family, the main sun cream we have used over the past 7 years has been Green People. This was the first free-from sun cream I used on myself, hubby and the girls. I am fair skinned so have to be mindful of creams and burning. I've used the factor 15 & 25 and have never burned with it. I no longer get prickly heat and know I can trust this brand to work for us as a family. Green People uses Titanium Dioxide as its mineral filter for UV rays along with Isoamyl P-Methoxycinnamate which is produced from Cinnamic acid found in the leaves of the cinnamon tree. Together these give the cream it’s UVA and UVB filter protection. This sun cream is suitable for vegetarians rather than vegans due to the beeswax content. It comes in adult SPF15 and 25 and children’s SPF 25. Back in April this year, I went off to the Natural and Organic Products Europe Exhibition at Olympia and I came across Naturally Cool Kids. I chatted to Fiona the founder and really connected with her as a person. 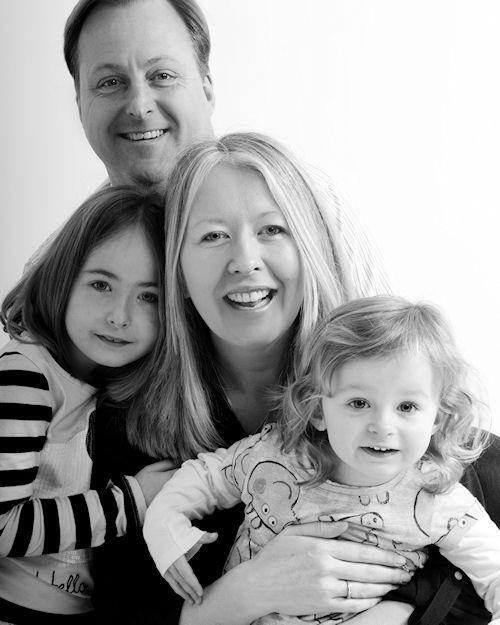 She is passionate about her range of products for kids and one of them is their sun cream. I have been using this on the girls in recent weeks and I like it a lot. Their formulation uses Zinc Oxide as their mineral filter for UV rays. This makes the cream a little more white in its appearance on the skin and you need slightly less of it than those with Titanium Dioxide. Once rubbed into the skin the white effect lessens. It is unscented and goes onto the skin well. It is SPF 25 and suitable for vegans. Aqua, Aloe Barbadensis Leaf Extract, Zinc Oxide, Cetearyl Alcohol, Cetearyl Glucoside, Glycerin, Rosa Moschata Seed Oil, Dicaprylyl Maleate, Prunus Armeniaca (Apricot) Kernel Oil, Cocos Nucifera (Coconut) Oil, Butyrospermum Parkii (Shea Butter) Fruit, Dehydroacetic Acid, Benzyl Alcohol, Glycyrrhiza Glabra (Licorice) Extract*, Boswellia Carterii Extract*, Chondrus Crispus (Carageenan), Parfum, Vanilla Planifolia Fruit Extract, Tocopherol, Cinnamal**, Coumarin**, Eugenol**, Limonene**, Linalool. In January time, I was lucky enough to win a lovely bundle of Original Sprout goodies and one of the items I bought was their sun cream. It is suitable for vegans and SPF 27. It has Zinc Oxide as its UV filter. This cream is much more like a lotion/cream. It rubs well into the skin and doesn’t leave a white film on the skin like other creams can do. It has a lovely aroma of coconut from the coconut oil in the cream. Inactive Ingredients: Aqua (Water), Caprylic/Capric Triglyceride, Cetearyl Glucoside, Cetearyl Alcohol, Vegetable Glycerin, Polyglyceryl-10 Laurate, Cocos Nucifera (Coconut) Oil, Fruit Extracts of Pyrus Malus (Apple), Prunus Armeniaca (Apricot), (Vanilla) Planifolia, Dipteryx Odorata Seed, Ananas Sativus (Pineapple), Rubus Idaeus (Raspberry), Organic (Basil) Ocimum Basilcum, Organic (Rosemary) Rosmarinus Officinalis, Lonicera Caprifolium & Lonicera Japonica (Japanese Honeysuckle), Extracts of Organic Rosmarinus Officinalis (Rosemary) Leaf, Organic (Arnica) Montana Flower, Organic Cucumis Sativus (Cucumber) Fruit, Organic (Calendula) Officinalis Flower, Organic Vaccinium Macrocarpon (Cranberry) Fruit, Polysilicone-15, Stearyl Dimethicone, Glyceryl Isostearate, Polyhydroxy Stearic Acid, Sodium Phytate, Xanthan Gum. My last offering is Neal’s Yard Remedies Sun cream SPF 30. This is their newest formulation. They changed the formulation and re-launched very recently to make the cream “non-nano”. I will talk about this subject in another post but for those of you wanting a sun cream which is non-nano then Original Sprout and Neal’s’ Yard Remedies are the two in this post which are completely non-nano. Naturally Cool Kids are looking at making changes in their formulation but at this time have a small amount of nano in their cream as do Green People, although the nano ingredient is inert. Green People do now have 2 new SPF products offering non-nano ingredients which are 'Oy Face the Sun SPF15' and 'Men's Skin Guard Face Defence Lotion No.4'. Neal's Yard Remedies' sun cream has lovely lemony overtones and I like it a lot particularly for me. The cream is a different texture again to the others and leaves a slight sheen to the skin. It rubs in well and doesn't leave a white residue behind. Aqua (Water), Glycine soja (Soybean) oil*, Titanium dioxide, Caprylic/Capric triglyceride, Polyglceryl-2 dipolyhydroxstearate,Polyglyceryl-3 disostearate, Butyrospermum parkii (Shea) butter*, Glycerin, Olea europaea (Olive) fruit oil*, Olea europaea (Olive) leaf extract*, Punica granatum extract*, Glyceryl oleate, Canola oil, Hippophae rhamnoides oil*, Rosa moschata oil*, Simmondsia chinesis (Jojoba) oil*, Oenothera blennis (Evening primrose) oil*, Oryza sativa (Rice) bran oil, Macadamia ternifolia seed oil, Glycyrrhiza glabra (Liquorice) extract, Lecithin, Tocopherol, Bisabolol, Magnesium sulfate, Mica, Tocopheryl acetate, Alcohol, Stearic acid, Aluminium hydroxide, Parfum (Pure Essential Oils),Citronellol, Geraniol, Limonene, Linalool. *Organically produced. Natural constituent of essential oil listed. All the above creams have been extremely effective at protecting the skin from burning. I let my girls go out for about 10 mins without cream so they can get their necessary quota of vitamin D after which they are creamed up. Both have a lovely sun kissed glow to their skin and no burning at all. I’m impressed with all four creams and like them all for slightly different reasons. It pleases me as a Mum that there is lots of choice for parents to use a free-from sun cream that works and isn't loaded with unnecessary chemicals that can really aggravate the skin. So on to my second sun essential; the fabulous sun shirts from Tatty Bumpkin. Tatty Bumpkin is mainly known for the yoga inspired classes they do for children aged 0 – 7 years but they also do some lovely clothing and their 100% bamboo sun shirts are in my opinion a “must-have”. I bought one for Sophia when she was about 18 months old and have been buying her the next size, as and when needed, ever since. They are knee length, hooded and as they are made from bamboo they are naturally anti-UVA and take perspiration away from the skin keeping your child cool and dry. These sun shirts are SPF50 but have been tested as UPF79 which is greater than SPF 50. They come in 3 colours; pale pink, pale blue and pale green and in sizes 6-12 months, 1-2 years, 2-3 years, 3-4 years, 4-5 years, 5-6 years. I can’t big these sun shirts up enough. I know that during a morning or afternoon on the beach or when the girls are playing in the garden, that when they’ve had enough sun but still want to play out, I can pop one of these sun shirts on them and I know they are protected. And because they are lightweight and cool they make a perfect sun essential for kids. A definite recommendation from me. 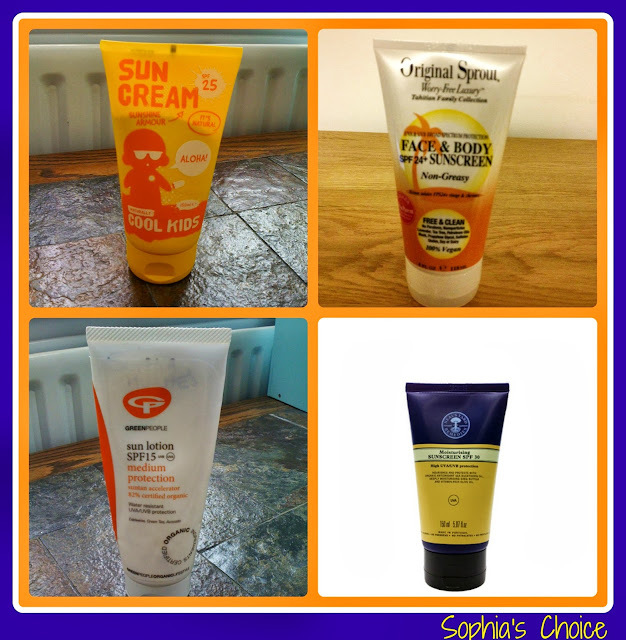 So there you are; my current free-from sun cream finds and my “must-have” sun shirts. Have any of you used the above sun creams or the Tatty Bumpkin sun-shirts? I'd love to hear your thoughts. If you want to keep up to date with my ramblings, you can follow me on Bloglovin, Twitter, Pinterest, Google+ and Facebook. Thanks for the share! When buying sunscreen for your kids you need to make sure what ingredients are going into it! Things such as Oxybenzone, Avobezone, Octisalate, and Homosalate tend to dry out your child's skin making them uncomfortable.